Isparta is a land of , natural, cultural , historical beauties and richness. History of the province, goes back to prehistoric periods. The city which is called as “Baris” in ancient times, bears the imprint of many great civilizations such as Lydians, Phrygians , Persians ,Romans , Byzantines, Seljuks and Ottomans . The extensive history have enriched the city. Before the Republic; area was a district of Konya province and called as Hamidabad . After Turkish republic Founded in 1923 It was detached and named as "Isparta". Isparta , the land of roses and lakes located in the western Mediterranean region has a rich flora and fauna. Popularity of rose growing in Isparta has developed the rose industry in the city. Rose oil and all kinds of rose products consumed in the domestic market and also exported to all over the world. In addition ; With an annual production of 550 thousand tons of apple Isparta is in the first rank in view of apple-producing in the Turkey. There are national parks ,and many lakes within the boundaries of city. Egirdir , Kovada and Golcuk lakes are called as "gold triangle". Isparta is a city which has the most lakes and ponds in the World. Hand made carpets and rugs with the traditional motifs of the Isparta are also very famous and recommended to buy. Famous for its natural beauty, Eğirdir Lake is found in Isparta and hosts thousands of visitors every year. This natural region, formed as a tectonic lake amid the Sultan and Karakuş mountains is also the habitat of numerous species. This big lake, home to Can Ada (Can Island) and Yeşil Ada (Green Island) offers you an unforgettable experience with its cozy restaurants and cafes and the spectacular beauty of its scenery. Covered in part with reeds and water lilies, Eğirdir Gölü hosts 91 plant species. Hosting also more than 150 kinds of birds, this rich lake is a highly inviting place of attraction. The lake has also a variety of fish species and fisheries which are an important source of income for the locals. There are many restaurants in the region where you can get a taste of these delicious fish. In the summer you can enjoy the sun and the beach either at the coastline or on the islands found in the lake. Eğridir, as one of the most pristine places, is located at a geography that allows its visitors to indulge in many sporting activities. Hiking, mountain climbing, paragliding, horse-back riding, hunting, biking, swimming, angling and many more adventurous sports can be done around the lake. Eğirdir Lake, one of the untouched beauties of the Mediterranean Region is ready to welcome you anytime in the year! Isparta is the house of water that brings comfort and joy to man. If you take your breakfast package with you and sit on one of the tables by Gölcük Lake one morning, you can enjoy this feeling. The light looks as if it came to drink some water from the lake. With this beauty and as it is not far from the Centrum, Gölcük hosts cheerful guests especially at the weekends. The lake is surrounded by small hillocks created by the volcano which erupted millions of years ago. The trees on these hillocks and poplars along the lake shore bring this beauty to perfection. The glowing colour of the leaves which turn yellow in autumn provides the visitors of Gölcük with picture-like views. This small lake with a diameter of 1.5 km and depth of 30 m. make people dream when they look at it. 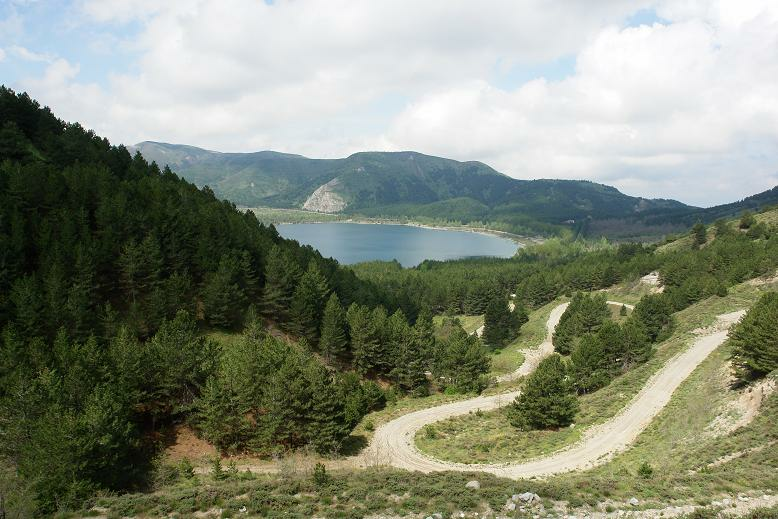 Gölcük, which was approved to be a National Park in 1991 is 5 km from Isparta’s centrum. While you can enjoy the picnic sites for the day, you can also dine yourself at the restaurant by the lake. Milas promenade in Yakaören village which is only a few km from Gölcük is also a very good recration place for families with children.